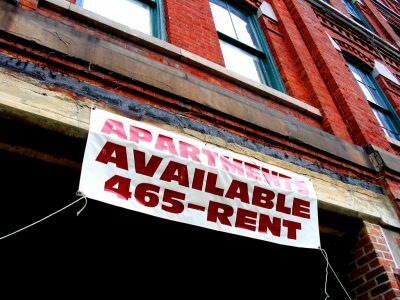 How are immigrants treated in the Chicago housing market? Shannon Elizabeth Weiss has been helping immigrant tenants in Chicago for 22 years. Since establishing the Center for Renters’ Rights with her husband Wolfgang, Weiss has become more and more disappointed in the progressive hideousness of how immigrants are treated in the city’s housing market. “There was always a time in housing, no matter what city you lived in, where the people who are foreigners are the new ones who are always shunned in some way, or not welcomed right away, into the communities,” Weiss said. Although the city has been labelled as a sanctuary city since 1985, she believes the struggles that immigrants face is no different from other places. Throughout the country, immigrants seeking safe and affordable housing face challenges like those seen in Chicago. Housing applications in 2017 often require prospective renters to provide their social security numbers, W-2 forms and legal identification — which can be challenging when you have just arrived in the U.S. as a recent immigrant. The 2000 census estimated that the city of Chicago had 629,000 immigrants, the suburban portions of metropolitan Chicago more, for the first time in history – 788,000, according to the Migration Policy Institute. The three largest foreign-born groups in metropolitan Chicago came from three countries – Mexico, Poland and India. These groups constituted 56 percent of all area immigrants. By 2014, the Chicago area had lost population – due to slowing birth rates, lower rates of international migration, and increased domestic migration away from Chicago, according to the Chicago Metropolitan Agency for Planning. Yet, foreign-born residents had increased by 14 percent since 2000, accounting for 19 percent of the total population. Forty percent of immigrants are from Mexico, 27 percent from Asia and the rest from other countries and areas. Almost half of all the immigrants had become naturalized citizens, enabling them participate more fully in civic life, including voting. In the ordinance’s 17 pages, there is no distinction whether the tenant must be legally allowed in the United States, either via citizenship or visa. This can lead to problems for immigrants when searching for housing in Chicago, where the prices are going up disproportionately to housing availability — and immigrant status may lead to even fewer options. Over her time with the Center for Renters’ Rights, Weiss has heard and seen situations from tenants largely fly under the radar because of the tenant’s undocumented immigrant status. A female tenant she had spoken to recently had a landlord who wanted her to pay more rent than what was agreed upon in her lease. She refused, he turned off her water, electricity and gas and threatened to call Immigration and Customs Enforcement (ICE). For tenants like the one Weiss describes, there are groups such as the Metropolitan Tenants Organization which have hotlines that renters can call for help. Community Membership Manager and Eviction Specialist Philip DeVon explained that the organization’s free hotline, started in 1994, is available to tenants Monday through Friday from 1–5 p.m. They estimate that 10,000 tenants call the hotline annually for assistance. DeVon said a common situation now in immigrant tenant communities is an entire building receiving a 30-day notice to vacate. DeVon said that this heightened fear can lead to immigrant tenants being reluctant to request repairs, or to approach their landlord in fear of “rocking the boat,” which can lead to extreme cases where landlords threaten deportation. Because of an immigrant tenant’s lack of documentation, it can be difficult to keep records on how these situations conclude for both parties. Angelica Sanchez, the Community Organizer in Environmental Justice and Community Outreach at ONE Northside, saw situations like this firsthand as the daughter of immigrants from Chiapas and Oaxaca, Mexico. Her parents initially lived in Little Village, and moved later to West Lawn and Pilsen before settling elsewhere on the South Side. At ONE Northside, Sanchez and her coworkers build relationships with partner organizations who work directly with immigrant families. While this can lead to a foundation of trust, Sanchez has tried to determine how people in state and city government can also help these immigrants, especially with Chicago’s distinction as a sanctuary city, as reassured often by Mayor Rahm Emanuel. DeVon agrees that sanctuary status, often called welcoming city status, isn’t having a measurable effect on how immigrants are being treated in the rental market. The threats of ICE being called, once viewed as empty, are now more real. While the situations immigrants face in the Chicago housing market can lead to issues such as these, DeVon hopes that immigrants who do come to Chicago utilize associations like MTO and community members themselves to help them find housing and feel secure in their homes. “I would encourage people to try to connect with someone in the community to give them some insight because that would lead me into some advice I have for any renter, but particularly immigrant renters who are more vulnerable to landlords,” he said. Ultimately, DeVon said MTO and other community organizations want to see people in their homes as much as possible.